There is almost 100 years history of the horse ranch “Klajumi”. In 1936 with the governmental support to strengthen the Latvian eastern border, a young farmer Janis Stabulnieks established a farm near the Latvian-Belarusian border and gave it the name “Klajumi” – in translation “fields” – because he did himself made fields free from brushes and built new brick buildings. Nowadays both old and new generations are working, saving culture and historical heritage and taking care of nature environment values. The landscape is hilly, but very scenery and tourism is more appropriate than agriculture in this region, located in the nature park of Daugava river valley and close to Latvian-Belarusian border. Taking into mind the love the owners of “Klajumi” possessed to horses, nature environment, historical conditions and traditions, in 1998 “Klajumi” started its business as a horse ranch. Horse ranch “Klajumi” is not a riding centre, sport club or just an accommodation place. 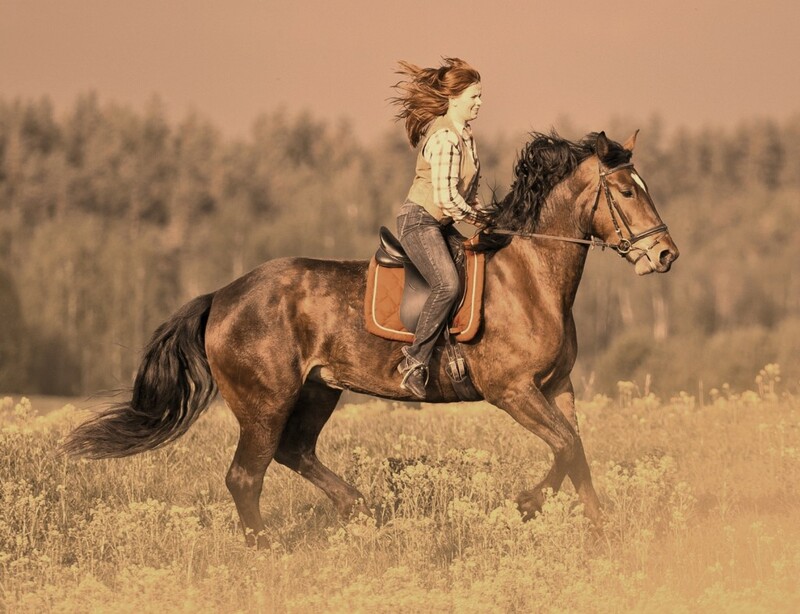 There are harmonized, landscaped horse riding tours organized on smart Latvian, Lithuanian and Belarusian horses. You are welcome to ride even without any riding experience. Nice guest houses for accommodation, traditional dishes of Latgale region and scenery nature will make your tour unforgettable. In 2007 “Klajumi” was awarded the main award in the Latvian national competition for Ecotourism businesses and an award as the most friendly tourism farm in Latgale region. “Klajumi” has received as well the Latvian eco-label – “Green Certificate” symbolizing nature – friendly farming, saving and promoting culture and historical heritage, using nature-friendly building materials, saving nature resources. “Green Certificate” guarantees clean environment, healthy food, silence, nature, rural surroundings. In 2013 “Klajumi” has received the Latvian Heritage mark for horse breeding traditions. This mark is given to entrepreneurs of Latvian tourism who maintain and praise Latvian Cultural Heritage in tourism. In 2014 “Klajumi” become a member of European Network of Regional Culinary Heritage (culinary-heritage). It means that farm “Klajumi” is carried out to promote and enhance regional food and the regional identity through products and culinary traditions. Owner Ilze Stabulniece is the winner of culinary competition TV show. The new service is provided for the two horse luxurious carriage, transferable to any place in the Baltic states. Enjoy together with us unrepeatable miracles of Daugava river valley beauties, strengthen your heart, fill your hearts and leave your footprints here! You are welcome in horse ranch “Klajumi”!